The Tarsh Partnership - Marketing Salaries 2018: How much should your next job pay? Marketing Manager is at number one in Glassdoor’s 2018 25 Best Jobs in the UK report. The report is calculated by combining three factors: number of job openings; salary; and overall job satisfaction, giving Marketing Managers an overall job score of 4.5/5. One of the key attractions of marketing as a career is undoubtedly the ability to earn a fairly lucrative salary as you progress up the career ladder. Plus, despite some debate around the topic of qualifications, it’s still relatively easy to enter the sector without a marketing degree. According to CV-Library, marketing salaries have increased by 4.6% between Feb 2017 and Feb 2018 – they put this down to a fall in applications for vacancies, which is creating increased pressure for good candidates. Totaljobs has also seen a sharp increase in marketing salaries; salaries for Marketing Manager jobs have increased by 15% in the last month and Marketing Assistant jobs by 9%, making these some of the job roles with the fastest growing salaries. So how much do marketers get paid? An entry-level Marketing Assistant role can expect an average salary of around £21,400. As they move up to Marketing Executive, typically after around 2-4 years’ experience, average salaries increase to around £25,100. 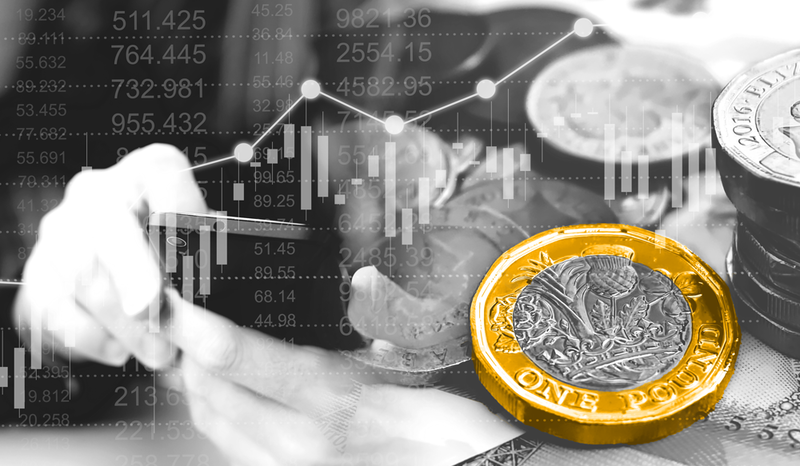 Marketing Manager salaries are around £39,700 on average, although this is a broad role and salaries do vary greatly depending on the level of experience required. 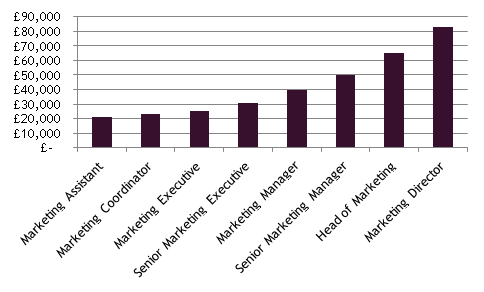 Marketing Directors experience a significant pay bump, and can take home an average salary of around £82,800 a year. Of course, these are just very rough averages and marketing salaries are also influenced by the level of specialism required by the role, the location of the company and particularly by industry sector. For example, the average salary for Marketing Managers in pure FMCG is well over £50,000, whereas a Marketing Manager working for a charity can expect to earn around £37,000. To get a better idea of the average salary for marketers in a similar situation to you, or to find out how much you could earn if you switched roles, you can use our online salary checker.